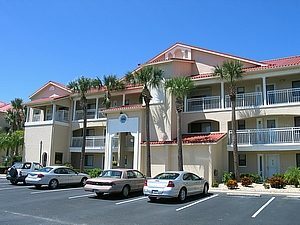 Bouchelle Island IV Condominium Association, Inc. located on the South Causeway on Highway 44. 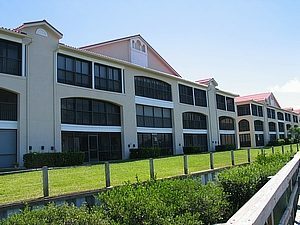 Bouchelle Island IV is a Community with 15 Units, this Building being on the Intracoastal Waterway provides daily opportunities to watch the passing boats. 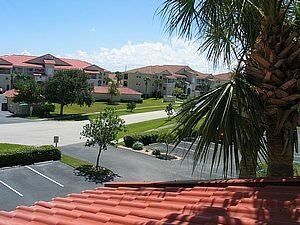 This 15 Unit Condominium Community Association is part of the Community Services Association on Bouchelle Island which is a Homeowner Association that presides over the 52 acres of grounds and common elements. These include: dry storage area for approximately 67 boats with their trailers, 82 Wet Slips up to 36 feet in length and 7 feet deep, a floating dock, dry storage for canoes and kayaks, a 3000’ boardwalk that many fish from, two community pools including one custom, large pool decks with outdoor gas grills, a spa located at the main pool, two lighted tennis courts, shuffleboard courts, and a clubhouse which includes an organized library for members. There is also an area where members can wash their cars located near the second common element area. The Association also maintains an 18-hole Pitch & Putt Golf Course.